Don’t worry, the Dalek won’t destroy your room if you turn it on at night. It just wants to shed some light for you. Curious? Let’s go on checking the Doctor Who Dalek night light. 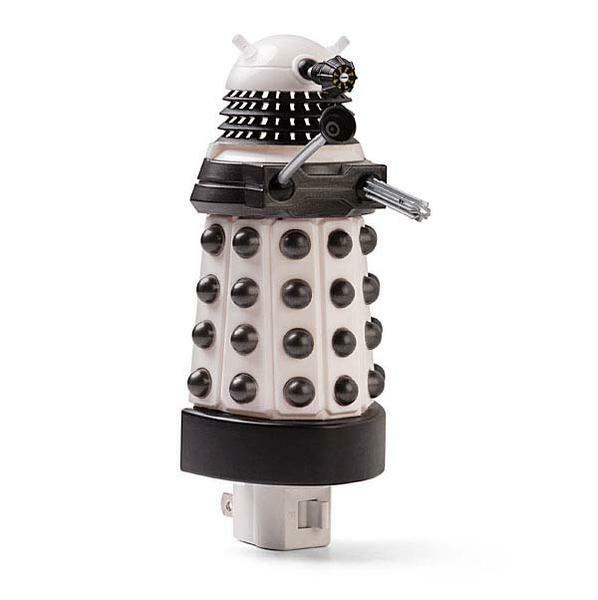 This is an interesting, official licensed night light themed by Doctor Who, a famous British sci-fi TV series. The night light measures 6 inches tall, and as we can see from the images, it’s shaped like the front half of a Dalek from the universe of Doctor Who, and sports accurate detailing. 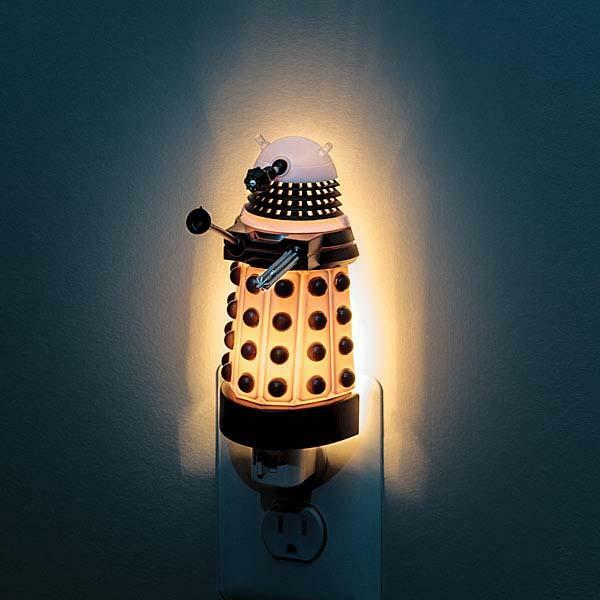 Moreover, the Dalek night light has on/off switch and polarized plug for easy to control and connect with wall outlet. Apart from that, internal 7-watt bulb offers enough light in order to keep you from stubbing your toe when you get up at night. The Doctor Who Dalek night light is priced at $11.99 USD. If you’re interested, jump to ThinkGeek for more details.